Comic legend Alan Moore’s highly-influential classic of British comics, presented to a new generation coloured and remastered for the very first time. Bored and frustrated with her life in 50th-century leisure-ghetto housing estate ‘The Hoop’, 18-year-old everywoman Halo Jones yearns for the infinite sights and sounds of the universe. 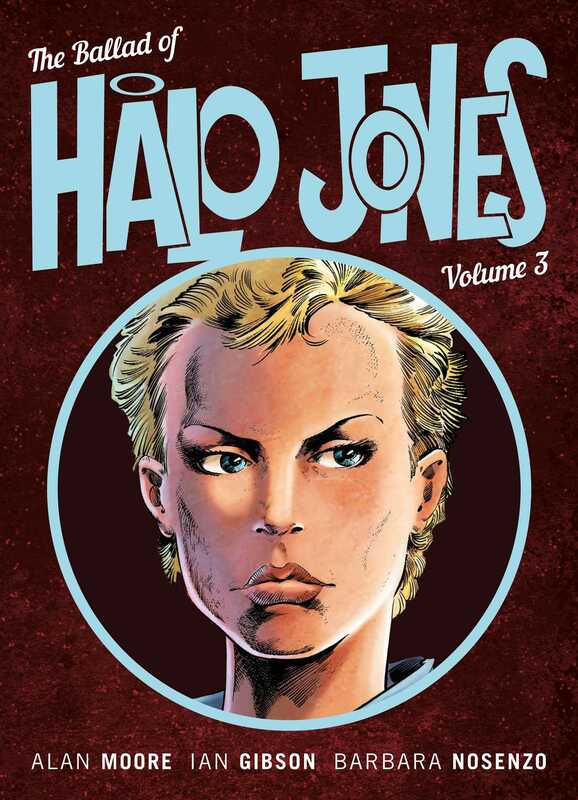 Pledging to escape on a fantastic voyage, she sets in motion events unimaginable; a spell on a luxury space-liner, a brush with an interstellar war – Halo Jones faces hardship and adventure in the name of freedom in the limitless cosmos. A galaxy-spanning story, comics’ first bona fide feminist space opera, and the first true epic to grace the bibliography of arguably the greatest comic book writer the world has ever known.